Let me just cut to the chase here: I LOVE discount fabric. LOVE. I don't even mind that discount fabric stores are often a little bit hit and miss in terms of what you may find from visit to visit. 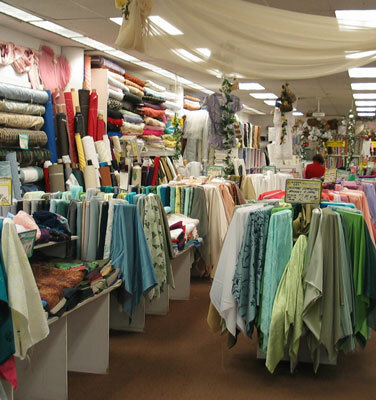 One of my fave fabric watering holes to go to when I visit my cousin down yonder, is Sewfisticated Discount Fabrics in Dorchester. I always know I will find SOMETHING that I must have. In particular, I've found some lovely special occasion fabrics...my aunt loves checking them out for quilting cottons...and once, I found a particularly fab quilting print of Jesus at the Last Supper. Something a little weird and wrong about that, but FANTASTIC nonetheless...I bought it to make placemats, d'oh! They actually have two locations, the one in Dorchester and the other one in Somerville. And they are open until 8PM Monday through Saturday (as well as open on Sundays)...so you have time to go after work.